The Independent Horse is a team of young professional like minded performers, who work in both film and live shows. Their goal under the direction of Daniel is to constantly push the limits of what can be achieved with horses and a little imagination. The Independent Horse takes the same initiative into its live shows, forever looking for the new dimension to keep one step ahead of the rest. The Independent Horse first formed in 2003 by Daniel Fowler-Prime after working on the live stunt shows since 1997. The goal was to bring horse riding in to the field of extreme sports , to supply horses, riders and special action extras to the live show and film industries. Since its conception the Independent horse has been proud to work with Hilton Horses, Rocking Horse Productions, Company of Horsemen , Themed Leisure Services ( Camelot and Warwick) and The Knights of Arkley. Something this company wish to continue for many years . All our shows are fun family entertainment which involve audience participation, comedy and edge of your seat action - which will complete the perfect day. 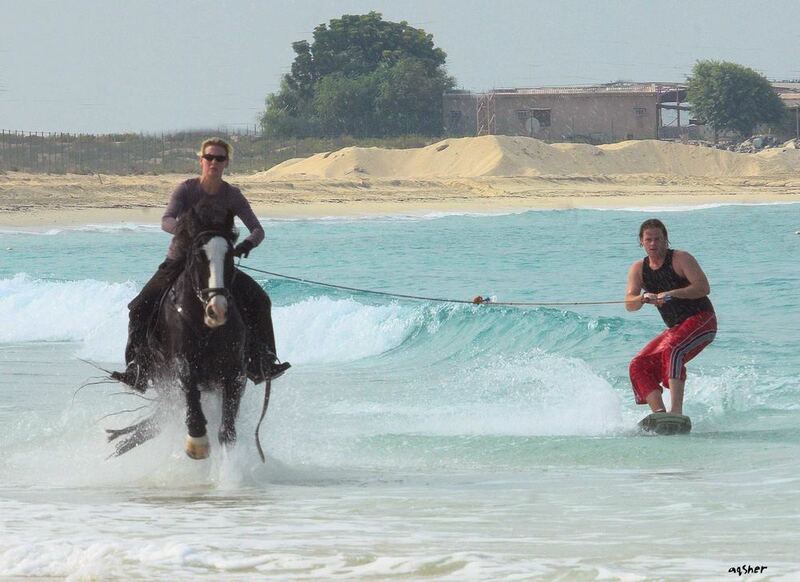 Early in 2005 the Independent horse, working with The Company of Horsemen and Matt Smith from Air Jam of Newquay, were the first in the world to tow a kite board behind a horse. This was the birth of horse surfing . In the summer of that year the Daily Mail printed one of the pictures. Since then the Independent Horse has become less of a team in the background or behind the camera but a horse surfing team that the world wants to know about, getting recognition from Australia and Taiwan to America and the Middle East. This was only the beginning of horse surfing and over recent years the team has continued to push the limits and break new ground with world firsts. They were the first and only team in the world to trick ride and tow at the same time.